When you decide to move, whether it’s due to a job change, retiring, downsizing, or a change in lifestyle; it’s tempting to make this a DIY project. From a practical standpoint, this may not be your best option. After locating your new home, deciding what you want to move, what will be donated and the logistics of getting everything relocated can get pretty stressful. If you need to relocate, hiring a professional moving company is the best decision you can make. If you decide to move yourself, you’ll need to first estimate the size of moving van and hope you’ve rented a moving van that is large enough to accommodate your belongings. Next, you’ll need to figure out how many boxes you’ll need to pack. 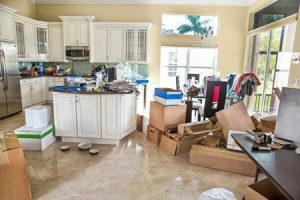 You will need moving pads, dollies and equipment, and know how to carefully wrap for breakables and electronics with paper pads, news print and bubble wrap and tape. 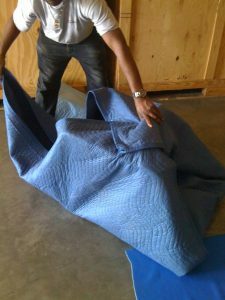 Small, medium and large boxes as well as covers for your mattresses and wardrobe boxes may be needed. That can be challenging for you to do. Don’t forget, you’ll need to find friends or family member to help load boxes and heavy furniture. and be hopeful that no one cancels at the last minute. After you arrive, you will be exhausted. But you will need to unload your moving van quickly, so you can return it to one of the company’s facilities in a timely manner. You will need to enlist some more family and friends to help with the unloading. After the moving van is unloaded, you will need to find the drop off location and know how to get there in your new city. You’ll also need to arrange for someone to pick you up from the drop off location. Alternatively, you can hire a moving company. When you hire a professional mover, you simply schedule the movers and pay the bill! Then you are only responsible for yourself, your family members, a few of your personal belongings, and driving vehicle to your next residence/location. You have confidence that your possessions will be properly wrapped and transported undamaged to your new location. When you arrive at your destination, your only job is directing movers where want your items to go. The moving van arrives on the designated date, the movers unload all the furniture and boxes into the rooms you indicate, you play traffic cop for a day, you sign the work order, and start getting settled in your new life. Hiring a professional local moving company to move you will significantly reduce the amount of stress you’re under. Professional movers move people for a living and they’ll pack up your belongings in a fraction of the time it would take you. They’re also more adept at placement and configuration so they’ll be able to put a lot more of your stuff in a smaller sized moving van. Although it may seem like a DIY move would be cheaper, it can actually cost you more. If you need packing services, Easy Movers will provide all the boxes, tape, paper, and supplies needed to pack your belongings. If you estimate the amount of time you’ll spend packing and the cost of the supplies you will need, not including the physical and emotional toll it will take, you’ll find that hiring a professional mover is far more cost effective. 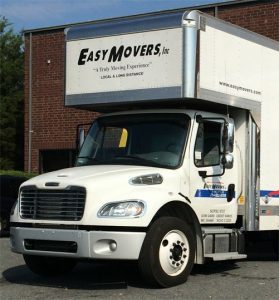 Easy Movers serves Charlotte and its surrounding areas, and we handle all phases of your move from packing and loading, to transportation and unloading, and even unpacking. If relocating is in your future, call Easy Movers. Our professional movers will treat you like part of the family and we’ll be as careful with your stuff as we would our own. Get a free moving quote today and let us move you. 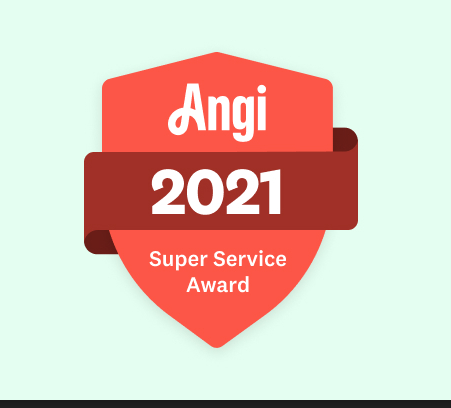 It’s what we do!